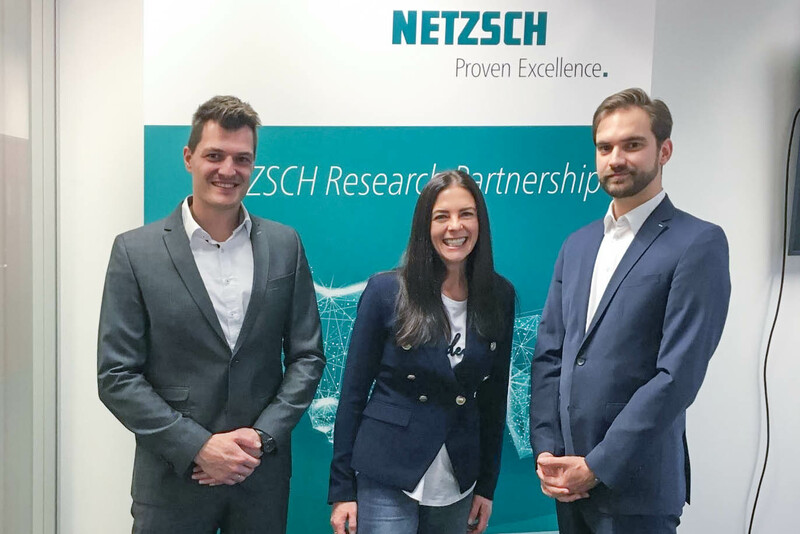 Selb – A new research partnership between NETZSCH Analyzing and Testing and the Swinburne University of Technology, Australia will see NETZSCH’s unique in-mould cure monitoring technology implemented in Swinburne’s Industry 4.0 carbon-fibre composite product Testlab. The facility, to be located in Melbourne’s East will be the world’s first industrial scale carbon-fibre composite manufacturing facility using a 3D printed “multilayer” approach. Swinburne’s Manufacturing Futures Research Institute lead by Director, Professor Bronwyn Fox is Australia’s first dedicated research institute focused on Industry 4.0 platforms. Strategically positioned at the intersection of design, business, engineering and information systems, the Manufacturing Futures Research Institute uses advanced manufacturing integration in the global value chain to capture the benefits of Industry 4.0, securing Australia’s industrial future. ”Germany is spearheading Industry 4.0 initiatives globally. Our partnerships with German research institutes and industry are a key part of our Industry 4.0 strategy in advanced manufacturing”, say Professor Fox. NETZSCH met with Swinburne University at ARENA2036, Stuttgart, Germany in December 2018 to commemorate the new partnership.